Welcome to the Printondemand-worldwide PODcast! What a busy few months it’s been here at Printondemand-worldwide! Throughout May and June we extended and restructured the print production plant to take full advantage of Lean Manufacturing principles and to cope with the ramp up in volume we are experiencing. Further colour print presses were introduced to complement our HP Indigo presses and as part of our commitment to reduce our impact on the environment in June we fitted solar panels in the production plant. More information is below. Over the course of the next few months we will be running Publisher open days at the plant. If you are interested in attending please contact your account manager or click here to register your interest or email Kathy in Marketing ([email protected]) and we will contact you with further information. We are also running a summer print promotion – read on for more details! We hope you find this edition of the newsletter interesting and informative. If you have any suggestions for topics you would like to us to talk about please do share your feedback here. Fifty shades of grey… the ‘summer washout mono sale’ is now on at Printondemand-worldwide!! Have you been saving your money for a rainy day? Dip your toe in the water with Printondemand-worldwide with our mono printing summer price reductions! Contact us for a quote on 01733 237867, quoting ‘SS2012’, there are huge savings to be had! Offer for short run mono printing only, at our standard pricing. To redeem the reduced rate the work must be printed and invoiced by the end of August 2012. Offer cannot be used in conjunction with any other offer from PODW. Offer excludes BookVault and contractual rates. Printondemand-worldwide launches its new company website! 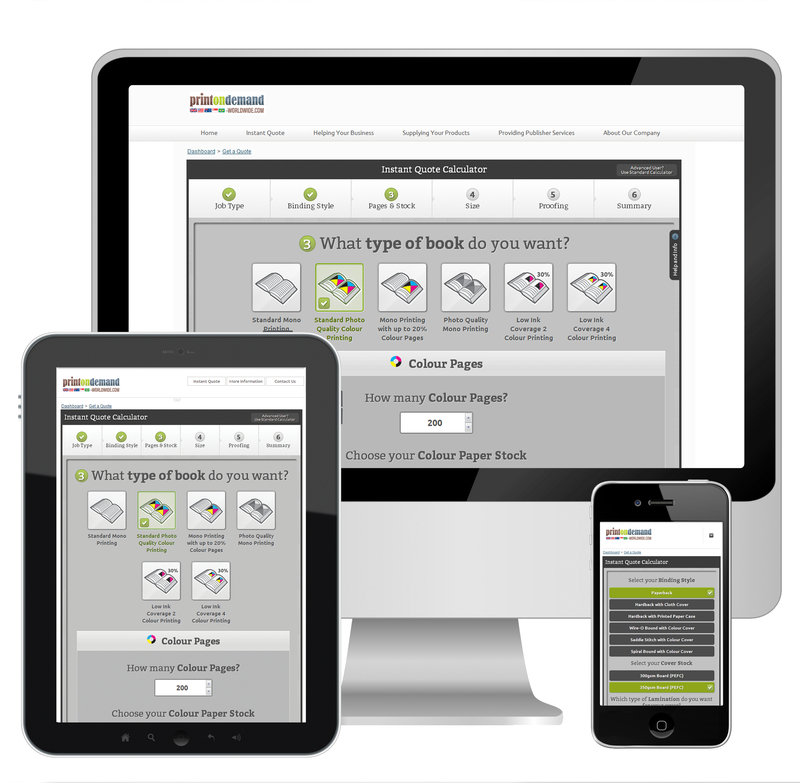 Using our new website to obtain quotes and order has never been easier! You may have noticed over the last month or so that our website has had a facelift! We have launched our new PODW website, which allows better navigation, in order to make your lives easier. We have ensured whether you are viewing the site on a pc, smartphone or tablet, your view and functionality is not compromised! Whether you want to search for a specific product or service, calculate your spine width, or learn about Printondemand-worldwide, the website is full of great information and business solutions! Visit the new website and have a look around, you may be surprised what you find! 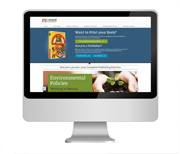 Please note that the prices displayed on our website online calculator are standard prices and not publisher pricing. At Printondemand-worldwide we have decided that sustainable, renewable energy is the way forward for us and our customers and so have fitted solar panels for the roof of our print plant in Peterborough. Now, you may think that our less than sunny summer maybe wouldn’t be the best time to fit the panels. In fact, there is even a misconception that solar panels don’t work in the UK. This is far from true. Solar panels generate energy from indirect sunlight; meaning even on a cloudy day some energy will still be produced. Printondemand-worldwide are doing our bit to make Peterborough a truly green city, and our business carbon efficient, here’s to more of the same across the UK! Want to reduce your own carbon footprint? 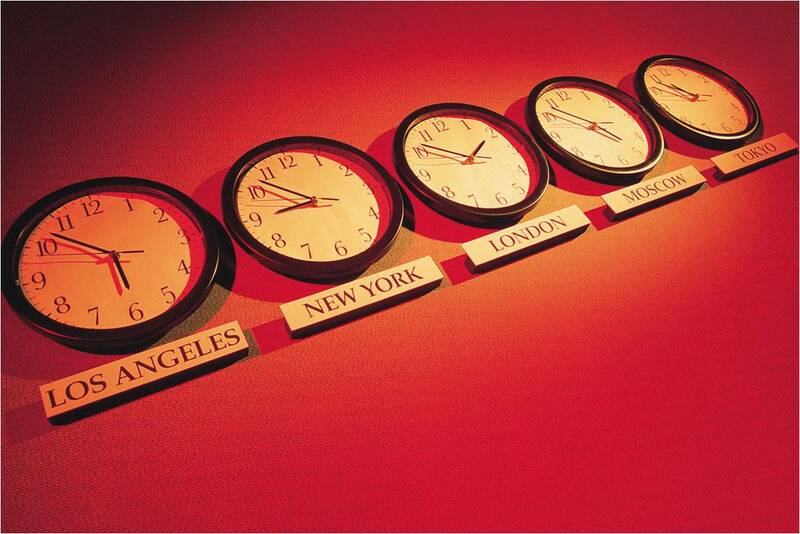 Ask your Account Manager about our ‘eco’ book and carbon offsetting services or call us on 01733 237867 to learn more! E-Book sales overtake hardback sales for the first time in the USA! With the launch of our new E-Vault global e-Book distribution website we have been closely tracking the sale/loan stats of e-Books v the sales of hardcopy books. 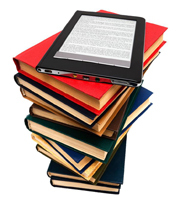 According to a report published by the Association of American Publishers (AAP) American publishers are now bringing in more revenue from e- Books than hardcover books. E-Book sales grew by 28.1% between 2011 and 2012. And for the first time, hardback book sales have been overtaken by the digital version in the first quarter of 2012. According to the March Association of American Publisher net sales revenue report (collecting data from 1,189 publishers), adult e-Book sales were $282.3 million while adult hardcover sales counted $229.6 million during the first quarter of 2012. During the same period last year, hardcover accounted for $335 million in sales while e-Books logged $220.4 million. It’s worth noting that this is US data- Nielsen book data do not currently report on e-Book sales within the UK. We look forward to a time when we can all see the whole market sales broken down in transparent form but it may be some time coming! However, it gives us an insight into the global market for digital and printed books. The link between Metadata and Sales… make your titles stand out from the rest and increase your sales! 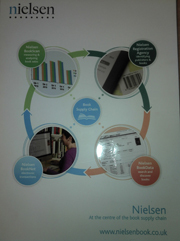 As part of our commitment to ensuring our POD retail model offers publishers effective incremental revenue, this month Printondemand-worldwide was invited to attend an open day held by Nielsen, focusing on the importance of publisher, distributors, and agencies working together to ensure effective and efficient use of the supply chain. Nielsen is the leading provider of a comprehensive mix of services that covers print and digital publications; collection and aggregation of data as well as disseminating book records worldwide. The book trade, more than any other industry perhaps, is reliant on sharing product data in order to function efficiently. That’s why Nielsen has spent time researching the correlation between the detail of metadata provided by publishers and the resulting book sales. · Fiction is the genre most significantly affected by the completeness of both BIC Basic and enhanced metadata. In short, in each way that Nielsen analysed the data, there was a consistent positive relationship between the level of metadata supplied and sales, with correlation being particularly strong for the online retail sector. It’s logical that an online consumer is reliant on the bibliographic data to locate the desired product, if that data is lacking or inaccurate, that consumer is bound to be dubious in purchasing that product. At a time where the digital world and online retail of both printed and electronic books is a key focus for publishers marketing I think it gives us food for thought. It is in fact the simple metadata, and enhanced detailed metadata, the small forgotten aspects of a book launch, which could in fact be the key to increasing your sales! Is your metadata as ‘juicy’ as it can be? Click here to view the full white paper results from Nielsen. To find out more about our retail model and increasing your platform for sale.